Before choosing an option below, please visit our Information Page where you may find the answer to your question. Click ‘Next’ on the button above to visit our ‘Book a Show’ page. We cannot recommend one person over another. All entries are included in good faith. Enquiries and bookings must be made directly with the performer. 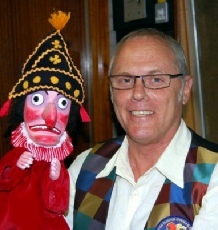 To book a Punch and Judy show, please use the button above.